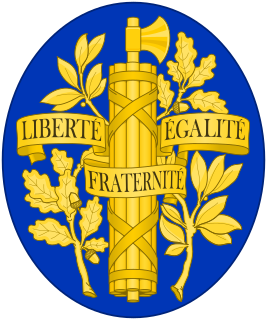 The Fifth Republic is France's third-longest political regime, after the hereditary and feudal monarchies of the Ancien Régime (Late Middle Ages – 1792) and the parliamentary Third Republic (1870–1940). The trigger for the collapse of the French Fourth Republic was the Algiers crisis of 1958. France was still a colonial power, although conflict and revolt had begun the process of decolonization. French West Africa, French Indochina, and French Algeria still sent representatives to the French parliament under systems of limited suffrage in the French Union. Algeria in particular, despite being the colony with the largest French population, saw rising pressure for separation from the Metropole. The situation was complicated by those in Algeria, such as European settlers and many native Jews, who wanted to stay part of France. The Algerian War was not just a separatist movement but had elements of a civil war. Further complications came when a section of the French Army rebelled and openly backed the "Algérie française" movement to defeat separation. Charles de Gaulle, who had retired from politics a decade before, placed himself in the midst of the crisis, calling on the nation to suspend the government and create a new constitutional system. De Gaulle was carried to power by the inability of the parliament to choose a government, popular protest, and the last parliament of the Fourth Republic voting for their dissolution and the convening of a constitutional convention. The Fourth Republic suffered from a lack of political consensus, a weak executive, and governments forming and falling in quick succession since 1946. With no party or coalition able to sustain a parliamentary majority, Prime Ministers found themselves unable to risk their political position with unpopular reforms. De Gaulle and his supporters proposed a system of strong presidents elected for seven-year terms. The President, under the proposed constitution, would have executive powers to run the country in consultation with a prime minister whom he would appoint. On 1 June 1958, Charles de Gaulle was appointed head of the government; on 3 June 1958, a constitutional law empowered the new government to draft a new constitution of France, and another law granted Charles de Gaulle and his cabinet the power to rule by decree for up to six months, except on certain matters related to the basic rights of citizens (criminal law, etc.[vague]). These plans were approved by more than 80% of those who voted in the referendum of 28 September 1958. The new constitution was signed into law on 4 October 1958. Since each new constitution established a new republic, France moved from the Fourth to the Fifth Republic. The new constitution contained transitional clauses (articles 90–92) extending the period of rule by decree until the new institutions were operating. René Coty remained President of the Republic until the new president was proclaimed. On 21 December 1958, Charles de Gaulle was elected President of France by an electoral college. 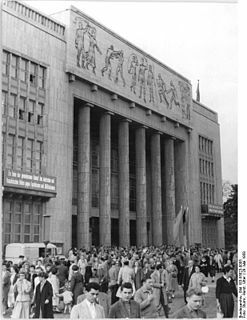 The provisional constitutional commission, acting in lieu of the Constitutional Council, proclaimed the results of the election on 9 January 1959. The new president began his office on that date, appointing Michel Debré as Prime Minister. The 1958 constitution also replaced the French Union with the French Community, which allowed fourteen member territories (these did not include Algeria) to assert their independence. 1960 became known as the "Year of Africa" because of this wave of newly independent states. Algeria became independent on 5 July 1962. The president was initially elected by an electoral college, but in 1962 de Gaulle proposed that the president be directly elected by the citizens, and held a referendum on the change. Although the method and intent of de Gaulle in that referendum were contested by most political groups except for the Gaullists, the change was approved by the French electorate. The Constitutional Council declined to rule on the constitutionality of the referendum. The president is now elected every five years, changed from seven by a constitutional referendum in 2000, to reduce the probability of cohabitation due to former differences in the length of terms for the National Assembly and Presidency. The President is elected in one or two rounds of voting: if one candidate gets a majority of votes in the first round that person is president-elect; if no one gets a majority in the first round, the two candidates with the greatest number of votes go to a second round. Two major changes occurred in the 1970s regarding constitutional checks and balances. Traditionally, France operated according to parliamentary supremacy: no authority was empowered to rule on whether statutes passed by Parliament respected the constitutional rights of the citizens. In 1971, the Constitutional Council, arguing that the preamble of the Constitution referenced the rights defined in the 1789 Declaration of the Rights of Man and of the Citizen and the preamble of the 1946 Constitution, concluded that statutes must respect these rights and declared partially unconstitutional a statute because it violated freedom of association. However, only the President of the Republic, the Prime Minister, and the President of each house of Parliament could ask for a constitutional review before a statute was signed into law, which greatly reduced the likelihood of such a review if all these officeholders happened to be from the same side of politics, which was the case at the time. In 1974, a constitutional amendment widened this prerogative to 60 members of the National Assembly or 60 members of the Senate. From that date, the opposition has been able to have controversial new statutes examined for constitutionality. Source: "Les présidents de la République depuis 1848" [Presidents of the Republic Since 1848] (in French). Présidence de la République française. Source: "Former Prime Ministers of the Fifth Republic". Government of France. ^ a b Loi constitutionnelle du 3 juin 1958 portant dérogation transitoire aux dispositions de l'article 90 de la Constitution (in French). ^ Lessig, Lawrence (1993). "The Path of the Presidency". East European Constitutional Review. Fall 1993 / Winter 1994 (2/3): 104 – via Chicago Unbound, University of Chicago Law School. ^ Richburg, Keith B. (25 September 2000). "French President's Term Cut to Five Years". The Washington Post. Retrieved 25 February 2017. ^ "12 People Who Ruined France". Politico. 29 December 2015. Retrieved 25 February 2017. ^ John E. Talbott, The War Without a Name: France in Algeria, 1954-1962 (1980). ^ Jonathan Fenby, The General: Charles de Gaulle and the France He Saved (2010) pp 375-408. ^ "Fac-similé JO du 02/06/1958, page 05279 - Legifrance". www.legifrance.gouv.fr. ^ Loi no 58-520 du 3 juin 1958 relative aux pleins pouvoirs (in French). ^ "Fac-similé JO du 09/01/1959, page 00673 - Legifrance". www.legifrance.gouv.fr. ^ Cooper, Frederick (July 2008). "Possibility and Constraint: African Independence in Historical Perspective". Journal of African History. 49 (2): 167–196. doi:10.1017/S0021853708003915. ^ Abayomi Azikiwe, "50th Anniversary of the 'Year of Africa' 1960", Pan-African News Wire, 21 April 2010. ^ Loi constitutionnelle no 74-904 du 29 octobre 1974 portant révision de l'article 61 de la Constitution (in French). ^ Alain Lancelot, La réforme de 1974, avancée libéral ou progrès de la démocratie ? Bell, David S. and John Gaffney, eds. The Presidents of the French Fifth Republic (Palgrave Macmillan, 2013) 219pp. Fenby, Jonathan The General: Charles de Gaulle and the France He Saved (2010) pp 375–635. Gaffney, John (2012). "Leadership and Style in the French Fifth Republic: Nicolas Sarkozy's Presidency in Historical and Cultural Perspective" (PDF). French Politics. 10 (4): 345–363. doi:10.1057/fp.2012.18. Chevallier, Jean-Jacques; Guy Carcassonne; Olivier Duhamel (2017). Histoire de la Ve République: 1958 - 2017 (in French) (16th ed.). Paris: Dalloz. ISBN 978-2247169221. The Union for the Defence of the Republic, after 1968 renamed Union of Democrats for the Republic, commonly abbreviated UDR, was a Gaullist political party of France that existed from 1968 to 1976. Alain Émile Louis Marie Poher was a French centrist politician, affiliated first with the Popular Republican Movement and later with the Democratic Centre. He served as a Senator for Val-de-Marne from 1946 to 1995. He was President of the Senate from 3 October 1968 to 1 October 1992 and, in that capacity, served twice as the country's interim president. A leading candidate in the 1969 presidential election, he was defeated by Georges Pompidou in the second round. A constitutional referendum was held in France on 27 April 1969. The reforms would have led to government decentralization and changes to the Senate. It was rejected by 52.4% of voters, and failure of the amendments led to President Charles de Gaulle's resignation.